And here I am grinning from ear to ear! Yes! I had a great weekend indeed! When your work is recognised by a Bank, then you know you have done something right! God is just amazing! You just never know who is watching - just keep doing what you are doing! 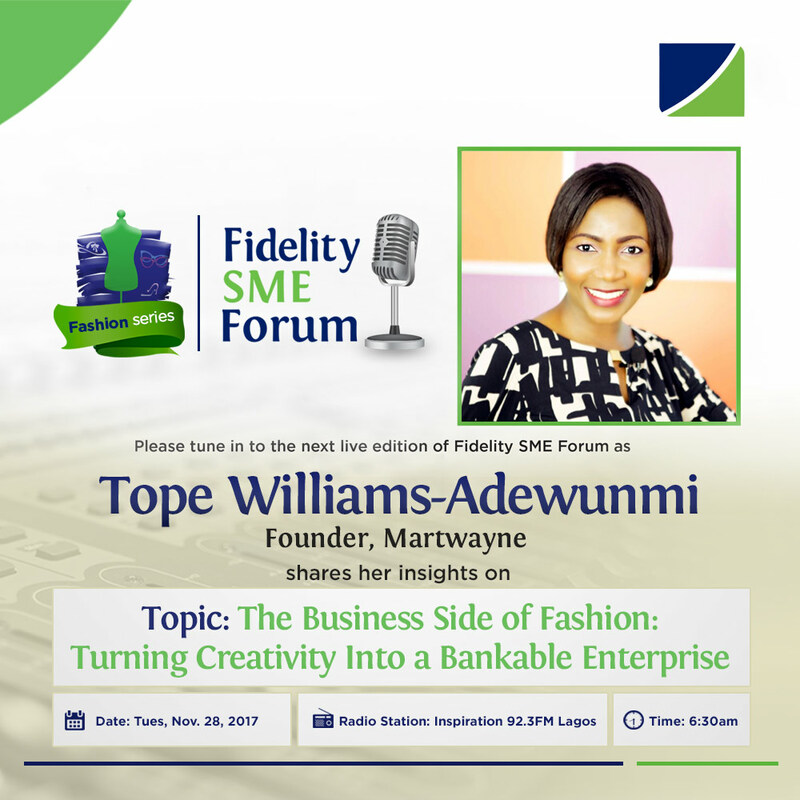 So Fidelity Bank is running its Fashion Series and guess who is a guest on the show! Yes yes! Yours truly! :-D Talking about what I love to talk about the most - the Business Side of Fashion! So yes: the Topic is "The Business Side of Fashion: Turning Creativity into a Bankable Enterprise! It's happening tomorrow LIVE at 6.30am on 92.3 Inspiration FM so just tune in on the drive to work! There is also a replay on Thursdays at 6.30pm so you can tune in on your drive home! I am so excited!!! I cannot wait! Do call in to ask your questions! The Accounting for Fashion Course started off on a GREAT note! Just check out the testimonial! So yes! You can still register for it. The video is up and the WhatsApp Group is open! You can still catch up! 1 Day down - 2 days to go! I cannot wait for this weekend to continue!